Looking for Contact Lenses in Cedar Park, Tx? Dr. Chris Vincent can help you find the perfect lenses today! Schedule your next contact lens exam at our Cedar Park, Tx office. 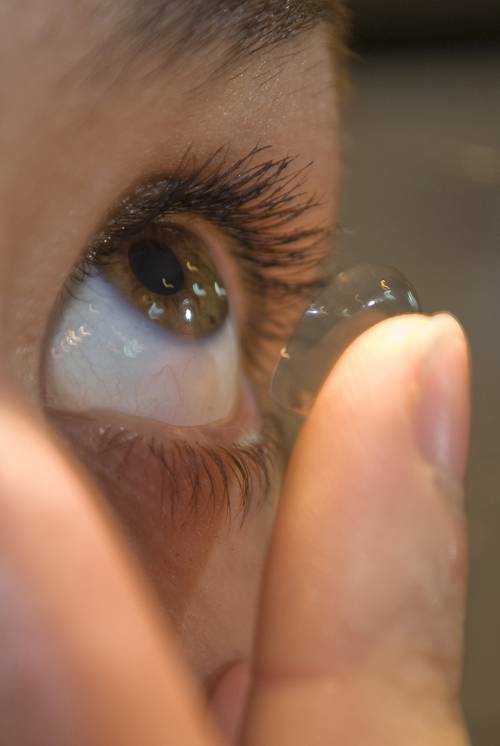 We offer a wide selection of contact lenses in the latest technology at Avery Ranch Eye Care. Our large array of contact lenses include blepharitis contacts, colored contacts and contact lenses made of the new silicone hydrogel materials that help reduce dry eye symptoms, daily disposables, toric for astigmatism, multifocal for presbyopia, cosmetic color contact lenses, rigid gas permeable (RGP) lenses in all designs, specialty contact lenses for conditions like keratoconus and post surgical conditions. A good contact lens fit starts with a thorough comprehensive eye exam to ensure the most precise prescription and rule out any pre-existing conditions that could interfere with the success of contact lens wear. Based on your specific needs, lifestyle, presciption, the shape and health of your eye we will be able to determine the best contact lens options for you. In most cases, you will have the opportunity to try lenses on the same day as your exam and even go home with a few samples before making a final decision. At our Cedar Park, Tx office, we teach all our patients proper contact lens application, removal, and care of their contact lenses. Dr. Chris Vincent continues with long term follow-up care to monitor the condition of the lenses and eye health to ensure that proper hygiene is being maintained.